(Santa Ana, CA) – This week, the Orange County Healthy Aging Initiative (OCHAI) released the Orange County Older Adult Profile, 2016. The report was funded by the Orange County Health Care Agency and highlights key health, social and economic indicators impacting the health and well-being of Orange County older adults. “This is the first comprehensive look at seniors that the County has led in collaboration with public, private and nonprofit partners who serve this population, in nearly 15 years,” said Dr. Helene Calvet, Deputy County Health Officer and OCHAI Co-Chair. Plans include commercial and residential developments along Beach Boulevard that would replace motels that have become hotspots for illicit activity. SANTA ANA, Calif. – A private investigator working for a law firm retained by the Costa Mesa Police Officers’ Association (CMPOA) was convicted today of committing crimes against two Costa Mesa council members and a competitor attorney. Christopher Joseph Lanzillo, 46, Lake Arrowhead, pleaded guilty to the court to two felony counts of conspiracy to commit a crime of unlawful use of electronic tracking device, one felony count of false imprisonment by deceit, and one felony count of conspiracy to commit a crime of falsely reporting crime to agency. Orange County Treasurer Shari Freidenrich announces the reinstatement of the California Property Tax Postponement Program (PTP) and that the application and accompanying information is available on the Office of the State Controller’s website at sco.ca.gov/ardtax_prop_tax_postponement.html, by calling 800- 952-5661, or by emailing the state at postponement@sco.ca.gov. The PTP, which has been reinstated after being suspended by the Governor in 2009, offers housing security for seniors and homeowners with disabilities. The program allows eligible homeowners who are blind, disabled or at least 62 years of age to defer Fiscal Year 2016-17 property taxes on their principal residence if they meet certain established criteria. “Interested applicants will need to submit a copy of their current year property tax bill along with other required documents,” stated Treasurer Freidenrich. 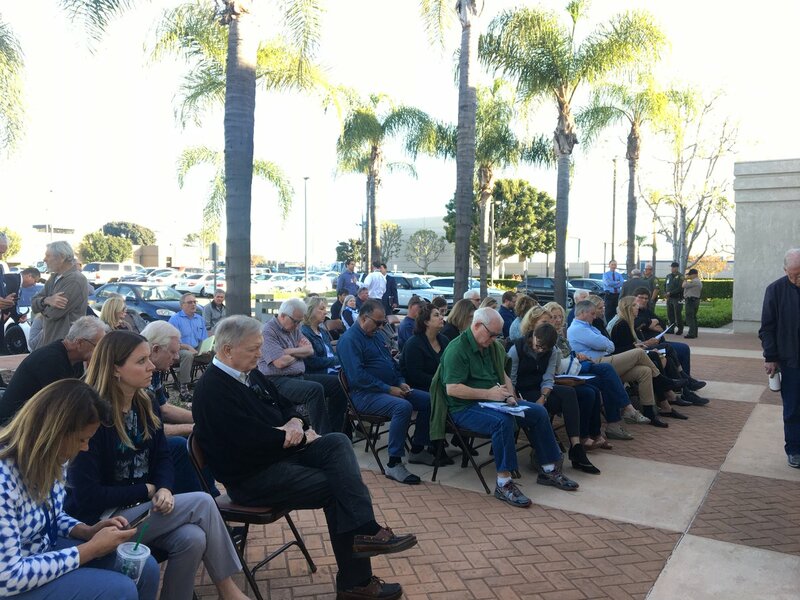 The Los Angeles-based non-profit The Midnight Mission will receive up to $1.4 million over the next year to run a 300-bed shelter and service center at the now-shuttered Santa Ana Transit Terminal adjacent to the Civic Center. Bill Lockyer, former State Treasurer, Attorney General, Senate Leader and Michael Capaldi Chairman Emeritus of the Lincoln Club, discuss the race for Barbara Boxer’s open U.S. Senate seat on “Inside OC with Rick Reiff” airing on PBS SoCal and Cox.